Does it really get any better than Disney school football tours to Florida at ESPN Wide World of Sports Complex and then hitting the theme parks? Can there possibly be a more appealing school sports tour for a soccer-mad teen, than going to Florida to play in Disney School Football Tours? All the soccer you can handle plus the world famous Orlando theme parks in one never to forget experience. So here is your chance to give them what they want. Disney School Football Tours offer players the opportunity to compete at the world-class ESPN Wide World of Sports Complex whilst also enjoying everything the Walt Disney World® Resort has to offer. Only at Walt Disney World® Resort will your team have the chance to play for the championship game and then go celebrate by riding The Twilight Zone Tower of Terror™ at Disney’s Hollywood Studios. In the Disney soccer tournament your team has access to guaranteed games, specially-priced Theme Park tickets, and a memorable awards ceremony – characters included. That extra sprinkle of magic to make your trip unforgettable is the Disney Difference! Once your team steps foot on Disney property the magic begins! Whether your school football team gathers together in a Walt Disney World® Resort Hotel filled with imaginative themes and spacious accommodations or you are practising on the professional grade fields at the ESPN Wide World of Sports Complex— there’s no place on earth like it. 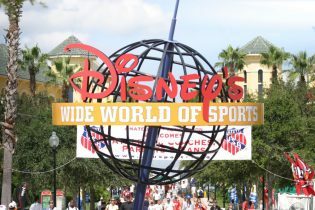 ESPN Wide World of Sports Complex at Walt Disney World Resort is a state-of-the-art facility that hosts events for athletes of all ages and abilities. The brightly coloured Spanish-style Guest rooms are separated into 3 distinctly themed areas. The Casitas offer an urban terra-cotta paradise. The rustic Ranchos resemble charming South-western pueblos. Cabanas provide a quaint beachfront retreat complete with cosy hammocks. The Disney soccer tournaments offer your players the opportunity to compete at the world class ESPN Wide World of Sports Complex in Orlando. Play soccer and enjoy everything that Walt Disney World has to offer. It will be a morning departure from the UK bound for Orlando International Airport. On arrival you will be met by a member of the Activ4 destination team and taken to your coach for the short transfer to the Colonado Springs Resort which is central for both ESPN Wide World of Sport and the theme parks. 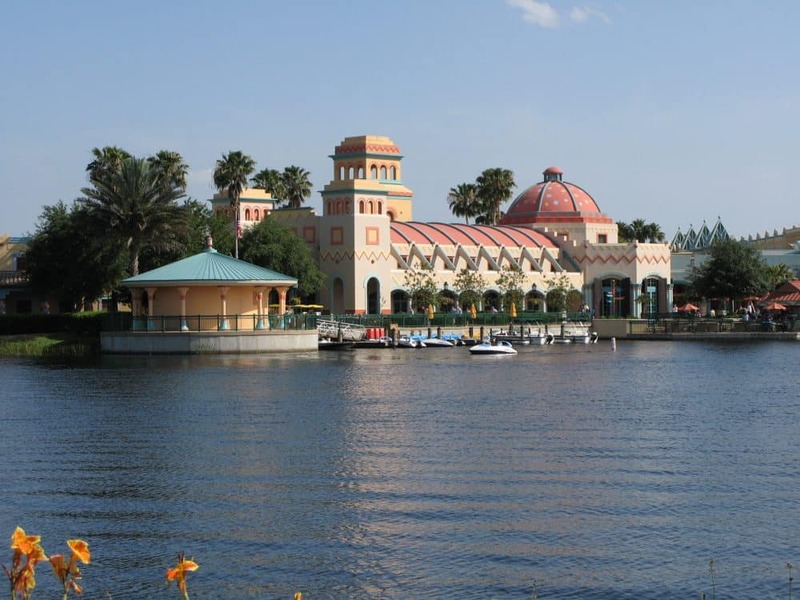 Disney’s Coronado Springs Resort is a Southwest-themed Disney Moderate Resort hotel encircling Lago Dorado—a glimmering 22-acre lake—that evokes the spirit and romance of Spanish-colonial Mexico. Follow in the footsteps of explorer Don Francisco de Coronado as he searched for the legendary Seven Cities of Gold while you discover the beauty and fantasy of a unique Resort. Don’t worry you’ll have time for a swim in the pool before dinner! The pool is a real masterpiece of Disney imagineering, with its Mayan pyramid slide and creeping vine covered waterfall. 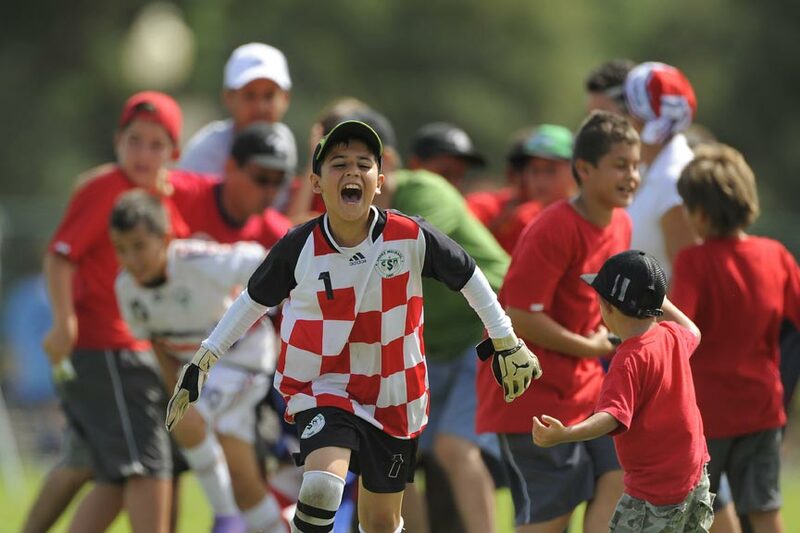 The excitement is building to a crescendo today on the eve of the tournament. ESPN will be showing the tournament on its station in the Disney hotels and will be looking for news items and comments from coaches and players, so brush up on your front of camera skills! Team registration and coaches meetings will be held during the day, and over at the ESPN Wide World of Sport there will be a few famous faces watching as the players get their tournament passes, there are player give aways, a coaches gift and each team will receive a commemorative Puma match ball. Then in the afternoon, why not take advantage of your theme park tickets? Magic Kingdom is one of 4 Theme Parks in Walt Disney World Resort and it captures the enchantment of fairy tales with exciting entertainment, classic attractions, backstage tours and beloved Disney Characters. Meals are provided at extra cost on a voucher basis which gives your group the flexibility to eat at any of the Disney locations so there is no need to worry about being back at the hotel for a certain time for dinner. The serious business begins as the tournament gets underway with the competition group stages. Fixtures can start from as early as 8am and includes teams from a whole host of countries including the USA, South America and Europe. All fixtures are played at ESPN Wide World of Sport, the 220 acre complex includes 9 purpose built venues and hosts numerous amateur and professional sporting events throughout the year. You’ll be able to keep up with what’s going on by watching the billboard size screens which show highlights and updates throughout the day. The flexibility built in to your package means that after you have played you can opt to visit a theme park or perhaps a waterpark such as Blizzard Beach, which features one of the world’s tallest and fastest free-falling waterslides. It’s another early start as the group stages progress and you meet your next opposition. The tournament has a one game per day policy so you can be sure you’re in action in yet another hectic day of sport. You may have caught highlights of yesterday’s game or that of your opponents on TV in the hotel last night, so you can be fully prepared for today’s match. The time of your fixture will be the key event of the day but as you have ticket options to visit the theme parks and water parks there will still be plenty to keep everyone occupied. It might also be a great opportunity to watch some of the other games to see what the competition has to offer. It’s semi-final day which means that the pressure feels like it has been ramped up a notch or two. Leo and Jeff who head up youth soccer for Disney and ESPN ensure that the structure of the tournament keeps everyone playing through its four days but let’s hope you are up there with a shout at having a tournament victory! Hopefully you will have made some lasting friendships with other teams and coaches staying at the Coronado Springs so you will be wanting to watch a match or two to show your support. Many teams head for the parks in the evening where they can use the voucher system to eat and enjoy the rides and maybe even see the firework show. Its finals Day! ESPN will be covering it on ESPN 3 and as with the tournament in general, both the players and the coaches are made to feel like ‘Pro’s’. The set up, the razzmatazz and the media coverage mean that this football experience is second to none. The photo opportunities alone will mean that you are going to have to get a bigger notice board when you get back to school! Whatever happens in the final today is a day of celebration and what better place to be than in Disney to let the team enjoy this great day? All spent up and it’s on to the airport for the overnight flight back to the UK: tanned, happy and hopefully victorious!